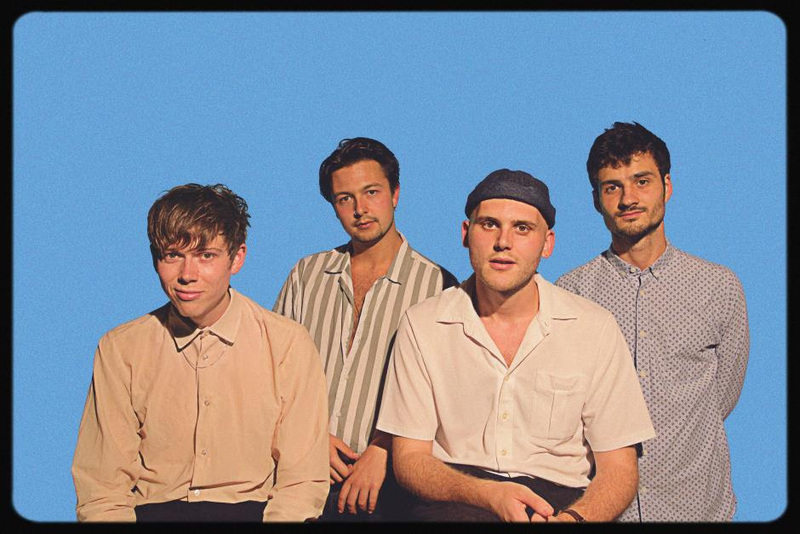 Jangle-pop four-piece Honey Moon unveil Mover In The Dark, the final aperitif served ahead of their new EP Four More From…, hitting your ears on 21st September, via Manchester boutique label Heist or Hit (Her’s, Pizzagirl). Snare trills, melodic staccato guitars and barber-shop harmonies transport you through the decades, to a summer evening leant on a parked Chevy Bel Air by a dimly lit beach front. Like a hazy memory however, it’s hard to locate exact feelings, and an eerie tone pervades: “Its vulnerability isn’t laid quite as bare and its message not quite as obvious as in some of our other stuff. Kinda creepy, kind of ‘dark’ – for us cheesy boys, anyway” says ringleader Jack Slater Chandler. 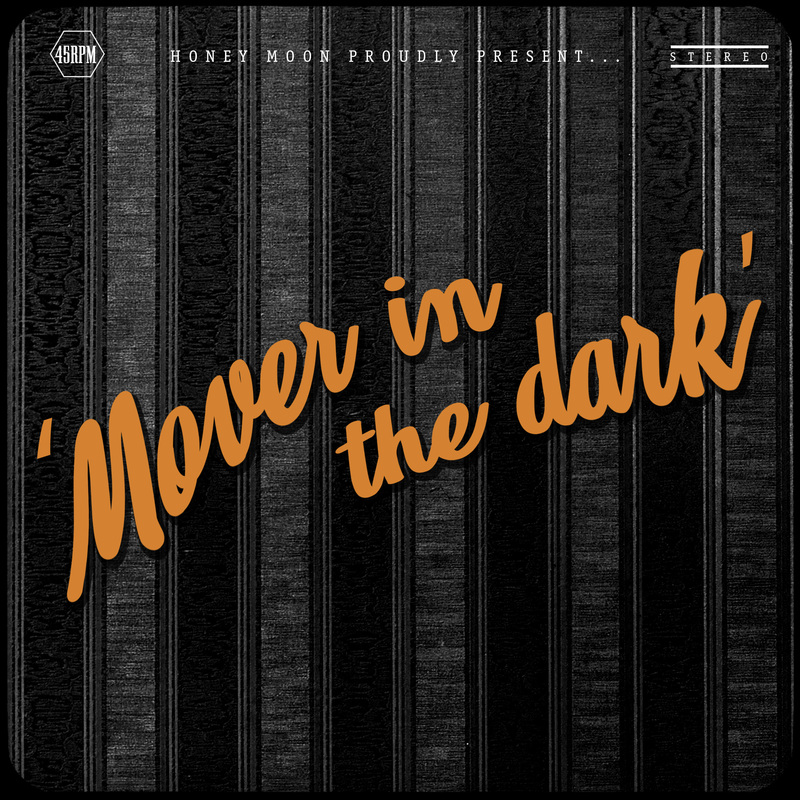 A continued evolution from the dreamy, floaty Honey Moon sound of old, and a side-step from the more straight-up love tunes that make up the rest of the EP, Mover In The Dark is unique take from the four-piece. Honey Moon’s style is escapist croon-pop looking back at 50s/60s doo-wop and the birth of Pop in Britain and America with rose tinted glasses. Whether or not the innocence of these ‘simpler times’ truly existed is beside the point, the idealised memory is enough to run counter to the modern day problems facing this generation up close and personal. Strutting around the gig venues of London town for a little while now, Honey Moon have built up worthy buzz followed by invites to perform at Glastonbury Festival and supports with Trudy and The Romance, Fake Laugh and GURR, which has cemented their status as exciting up-and-comers. They’ll furthermore be joining label mates Her’s for a few dates on their upcoming tour, following an EP release celebration at The Waiting Room in London on the 27th of September. Honey Moon are… on the drums, Sam Roux, on the bass and vocals Joey Julliard, on lead guitar and vocals Zach Urch, and on guitar and lead vocals Jack Slater Chandler. Mover In The Dark is taken from forthcoming new EP Four More From… (21st Sept), and was produced by Alex Greaves at The Nave studios in Leeds. It is out September 14th via Heist or Hit (Her’s, Pizzagirl).